I didn’t think this would ever happen, but just hitting the wires is the idea that Comixology is going to start a new program called “Submit” that is going to open the doors to independent comic book authors and creators to sell their stuff on the popular and profitable Comixology Platform. 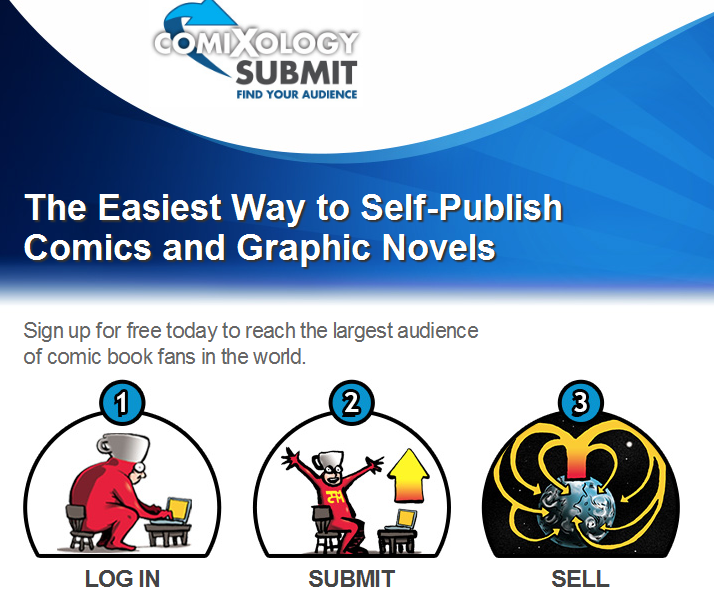 ComiXology Submit enables independent comics creators, from promising new talent to established veterans, to reach a global audience of comic book fans for whom comiXology already created the first viable digital marketplace for leading publishers. At the same time, comiXology Submit bolsters comiXology’s commitment to bringing its customers the best and most diverse content available. From what it looks like, you have your regular old Comixology account that you use to login, and that gives you access to publish using the submit system at http://submit.comixology.com. From there you provide your file, and it hits the system. There is an approval process, and they do have a handy guide for why your comic book got rejected. They want professional looking pieces, just depends on what “professional means” and they do admit that. Cyanide and Happiness or XKCD are not “professional” level like Marvel or DC, but they have a huge following to begin with. I have the feeling that part of the approval process is also going to focus on how well your own web site does and how large your audience is, that will make a huge difference in how we apply the word professional. I am sure that Adult comics are going to be clean on out, there is a market for them, but adult comics have taken a real side road lately that has made them rare and hard to find. In the meantime this is going to kick Graphicly in the gut, but for independents, this is really a meaningful thing for Comixology to do. And while they have a serious credibility gap with me on so many levels, maybe some independent somewhere will make some money on the deal. Hate to say this, but you know, I might just shove both editions of Comics Forge Presents to them and see what happens. That might go a long way with rebuilding the trust process with them. I will try it out when I can get things together next weekend and let you know how it goes.